3D scanning in combination with 3D printing now makes it possible to create all sorts of physical objects. This technology has become so advanced that it helps to preserve or restore historic artifacts that no longer exist. Let’s take a closer look at how 3D printing is currently being used to help protect and even recreate the vanishing past. How Does 3D Printing and Scanning Work? 3D printing requires 3D data. 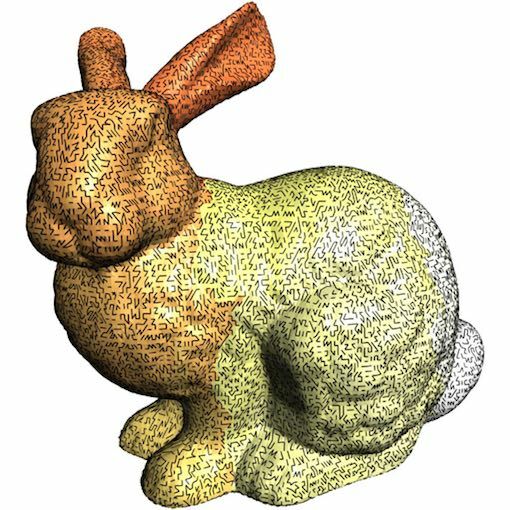 Data can come from your own design in the form of a CAD file or it can be collected by scanning an actual physical object which can be used to reverse engineer a copy of the original. How long did it take the beam to bounce back? Since the speed of light is known very precisely, the time it takes to return tells the sensor how far away that particular point is. At what angle did it return? Knowing the angle tells the computer the position of the point in space. Some systems also record color, reflectivity and other qualitative surface features. Every system depends on millions of points of data, called a “point cloud”. With modern computers and software, it’s possible to manipulate this cloud in lots of interesting ways. How Can 3D Printing and Scanning Preserve the Vanishing Past? Museum curators, historians and archeologists have long known of, and fought against, the ravages of environmental decay upon mankind’s priceless cultural treasures. Weathering and acid rain can be controlled inside of museum spaces but the ravages of war, neglect and vandalism are not so easy to defend against. Monuments, statues, tapestries, friezes and bas reliefs all help to tell the story of our past, and they are all at risk. 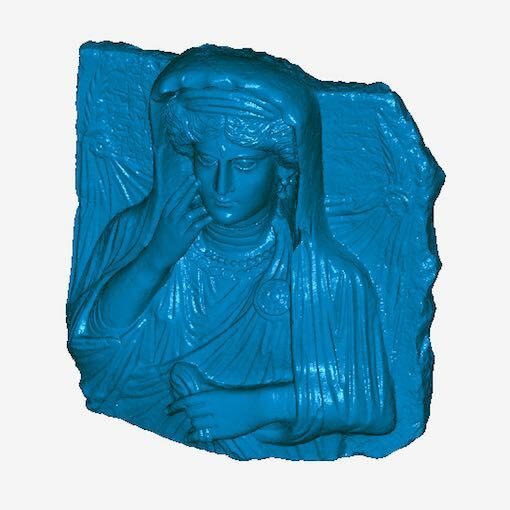 Thanks to 3D scanning and 3D printing, many museums of antiquity are now digitizing their entire collections, with the hope of preserving the past in some more permanent form. An online digital platform Threeding.com is working with many museums and private collectors in Europe to scan their collections of Egyptian, Greek, Roman and Ottomon art. 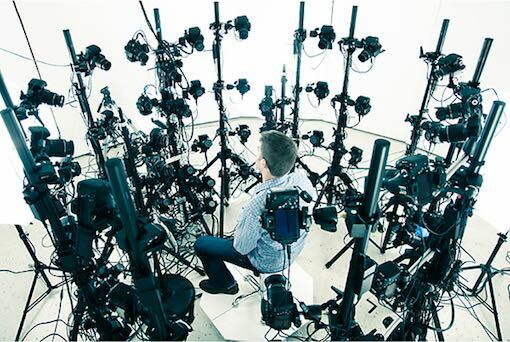 What If The Real Thing Is No Longer Available For 3D Scanning? In too many cases, original artifacts have been lost or destroyed before they could be digitally catalogued. Are they gone forever? Maybe not. Two university students – one from Germany and one from Spain – created the website Rekrei. 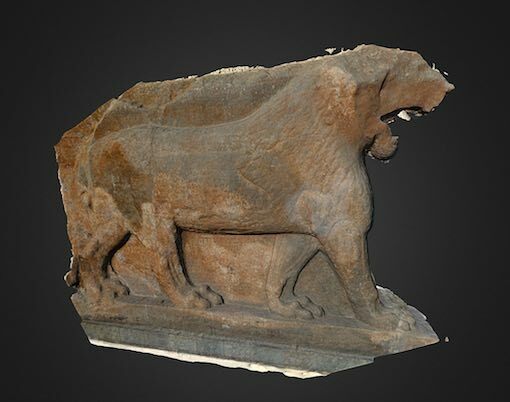 Here, they use photogrammetry to reproduce a past that was never scanned in the first place. Photogrammetry is a technique for making a 3D digital file using 2D photographs as the raw information. The founders of Rekrei set-up an online platform and then crowdsourced – asked people on the internet to send them any photographs they had of precious artifacts lost from the Mosul Museum in Iraq when it was ransacked by Islamic State fighters. Thousands of people from around the world who had visited that museum and who had photos responded. As with a scanning laser, these various photos showed the artifacts in question from many different angles and distances, providing the necessary data for calculating the exact dimensions and proportions of the originals. These pictures were digitally scanned, with the data overlapped to create a complex point cloud. This new cloud was fed to a printer to make a replica of an Assyrian lion statue from 860 BC and the statue of a priest from ancient Persia, among many others. There are many ways that 3D scanning and 3D printing technologies are being used to preserve and recreate the past. It is exciting to see how these technologies will continue to be developed. In the future, these same techniques can and will be used to reproduce missing pieces from classic automobiles, busts of beloved family pets, or anything else for which photographic evidence exists. We love the potential of 3D printing and we believe that transformative technology like this will bring even more changes to the prototyping and low-volume manufacturing industries, making it even faster and easier to create new ideas while replicating past ones. Want to know more about how this is done? Contact us today for a project review to see how we can apply 3D printing and traditional techniques to bring concepts to life.